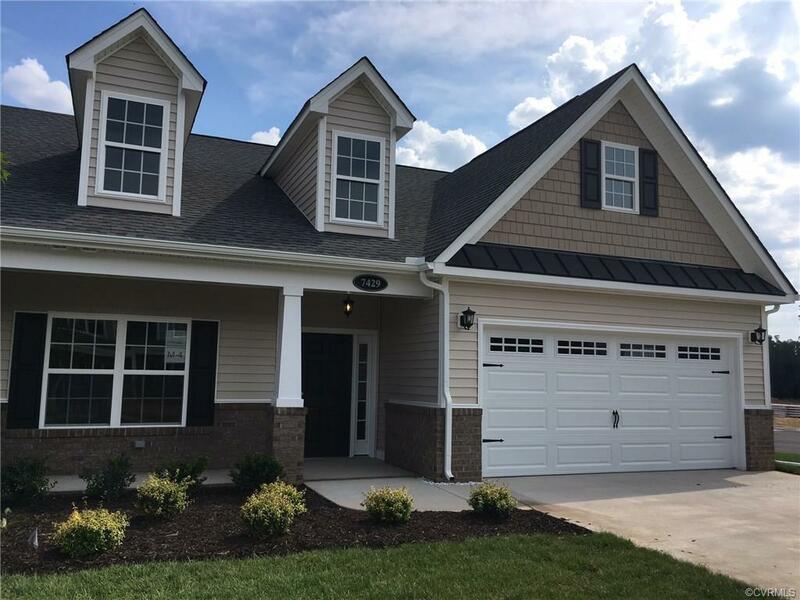 Cherry Grove is Mechanicsville's newest 55+ active adult townhome subdivision. Located off Bell creek Rd near shopping, interstates, hospitals, and more. The one level bell creek floor plan features 2 bedrooms, 2 bathrooms, 2 car attached garage with double with concrete driveway. Open floor plan, the family room, kitchen and dining area are open to each other, hardwood floors, vaulted ceiling. The kitchen has a large island, pantry, pendant lighting, and a dining area. Master bedroom has attached master bath with double vanity sinks, low threshold shower with seat, plus a walk in closet. There is also a rear covered patio. The community will have a beautiful clubhouse, putting green, exercise room, pickle ball, and much more.